Ginisology: The Kreativ Blogger Award ~ Thank You, Carol! What a pleasant surprise to receive the "Kreativ Blogger Award" today from Carol and her wonderful blog "Reflections From the Fence" - we share the love of RV'ing! It's always fun to read about Carol's "RV" traveling adventures and whats going on with "Tana." Thank you so much Carol - I am very honored and grateful to have been chosen. 1. My family means the world to me and they come first. Grateful that my Mom is my best friend, the one I can trust and count on. She is an amazing Lady. 2. I love spending time with my precious grandkids, what we learn from them, is priceless. 3. The friendships I have here in the blogoshpere and with my "non" genealogy friends, have made me a very rich girl and I treasure them. 4. Although fairly new, I am extremely passionate and very serious about the preservation of my family history~ genealogy for generations to come. 5. I love to make my own cards using pretty papers and writing with my huge selection of different colored pens! 6. Surrounding myself with positive, supportive and geniune people. I love helping others when I can. 7. Camping and going to the desert in our RV coach. It's nicer than my home - just kidding but it is nice! There are so many more I would like to list here but I had to leave some for other bloggers to choose from! Enjoy - each blog is full of interesting reading enjoyment, information and family stories. Gini, you are welcome, it was my pleasure to bestow this award. Oh, and that RV campsite in CA?? Follow along on Reflections From the Fence, we hope to get to Arizona this winter, Quartzsite, I know you know of it. As I say, God willing and the creek don't rise. In the meantime, congrats on the award, love reading your blog! Herstoryan, you are so very welcome and thank you for the kind words - blog has a ways to go but I am glad you like it! Your blog is awesome and very deserving of this award. What a nice surprise. Thank you so much for thinking of me for this award. That was very thoughtful of you. I enjoy your blog also. You're doing a great job. Oh Miss Gini...what a wonderful surprise! 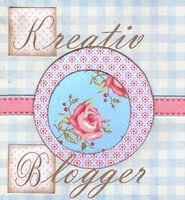 I am so grateful and honored that you choose my blog as one of your seven! You are way to kind! Awesome job you have been doing since retirement, are you having fun? We need to "catch up!" Thank you dear friend!